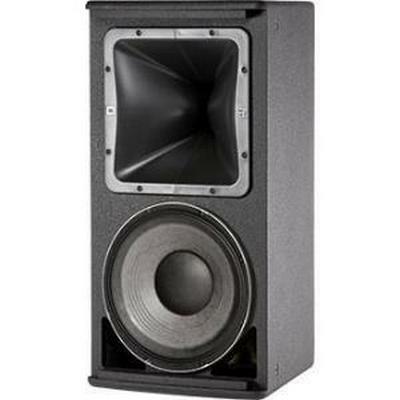 The AM5212/95 is a medium power, lightweight, 2-way, full-range loudspeaker system comprised of the JBL Differential Drive® dual voice coil and dual magnetic gap 262H-1 300 mm (12 in) low frequency driver and 2408H-1 high frequency 38 mm (1.5 in) exit, 38 mm (1.5 in) voice-coil compression driver. The large format PT™ Progressive Transition waveguide provides excellent 90° x 50° coverage. The waveguide is rotatable so the loudspeaker system can be used in either the vertical or horizontal orientation. High-slope passive networks minimize band overlap. Well-controlled off-axis response enhances arrayability. 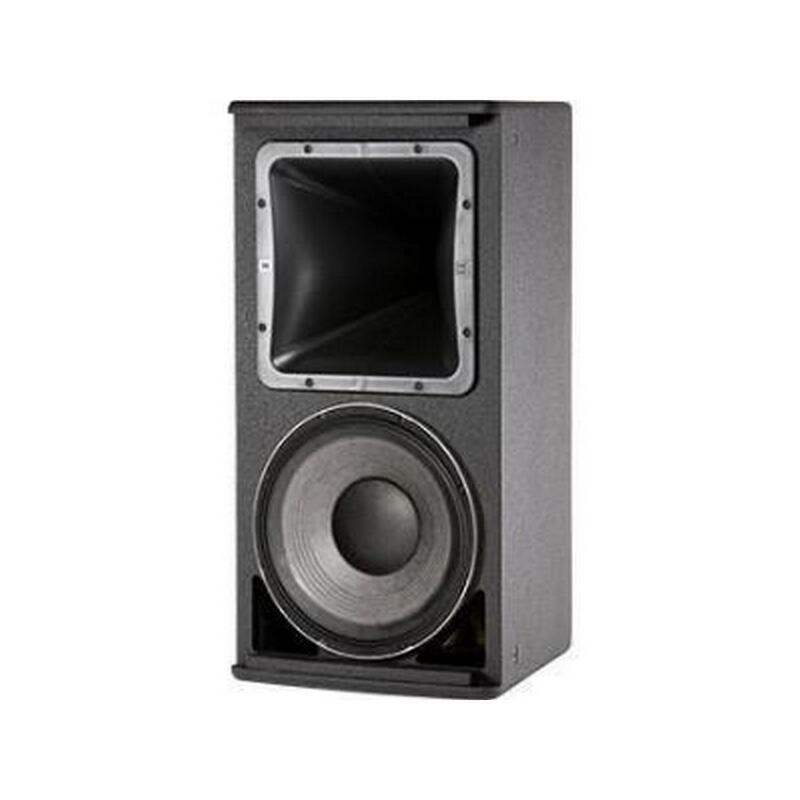 The AM5215/26 is a medium power, lightweight, 2-way, full-range loudspeaker system comprised of the JBL Differential Drive® dual voice coil and dual magnetic gap 265H-1 380 mm (15 in) low frequency driver and 2408H-1 high frequency 38 mm (1.5 in) exit, 38 mm (1.5 in) voice-coil compression driver. The large format PT™ Progressive Transition waveguide provides excellent 120° x 60° coverage. The waveguide is rotatable so the loudspeaker system can be used in either the vertical or horizontal orientation. High-slope passive networks minimize band overlap. Well-controlled off-axis response enhances arrayability. 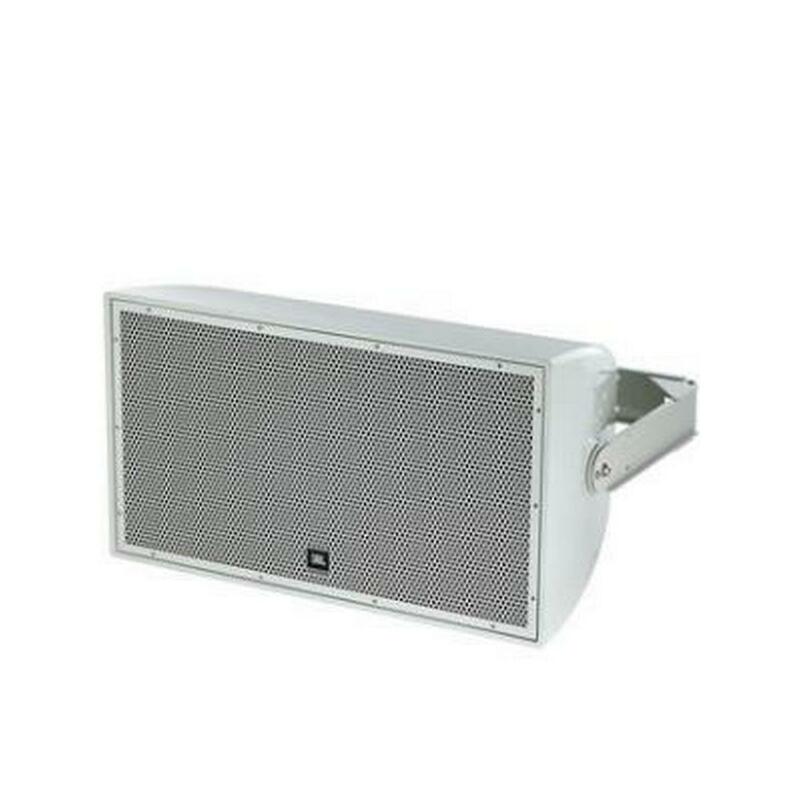 The AM5215/64 is a medium power, lightweight, 2-way, full-range loudspeaker system comprised of the JBL Differential Drive® dual voice coil and dual magnetic gap 265H-1 380 mm (15 in) low frequency driver and 2408H-1 high frequency 38 mm (1.5 in) exit, 38 mm (1.5 in) voice-coil compression driver. The large format PT™ Progressive Transition waveguide provides excellent 60° x 40° coverage. The waveguide is rotatable so the loudspeaker system can be used in either the vertical or horizontal orientation. High-slope passive networks minimize band overlap. Well-controlled off-axis response enhances arrayability. The AM5215/66 is a medium power, lightweight, 2-way, full-range loudspeaker system comprised of the JBL Differential Drive dual voice coil and dual magnetic gap 265H-1 380 mm (15 in) low frequency driver and 2408H-1 high frequency 38 mm (1.5 in) exit, 38 mm (1.5 in) voice-coil compression driver. The large format PT Progressive Transition waveguide provides excellent 60 x 60 coverage. The waveguide is rotatable so the loudspeaker system can be used in either the vertical or horizontal orientation. High-slope passive networks minimize band overlap. Well-controlled off-axis response enhances arrayability. Finish : Black DuraFlex finish. White available upon request. Input Connector : NL4 Neutrik Speakon and CE-compliant covered barrier strip terminals. Barrier terminals accept up to 5.2 sq mm (10 AWG) wire or max width 9 mm (.375 in) spade lugs. Speakon in parallel with barrier strip for loop-through. 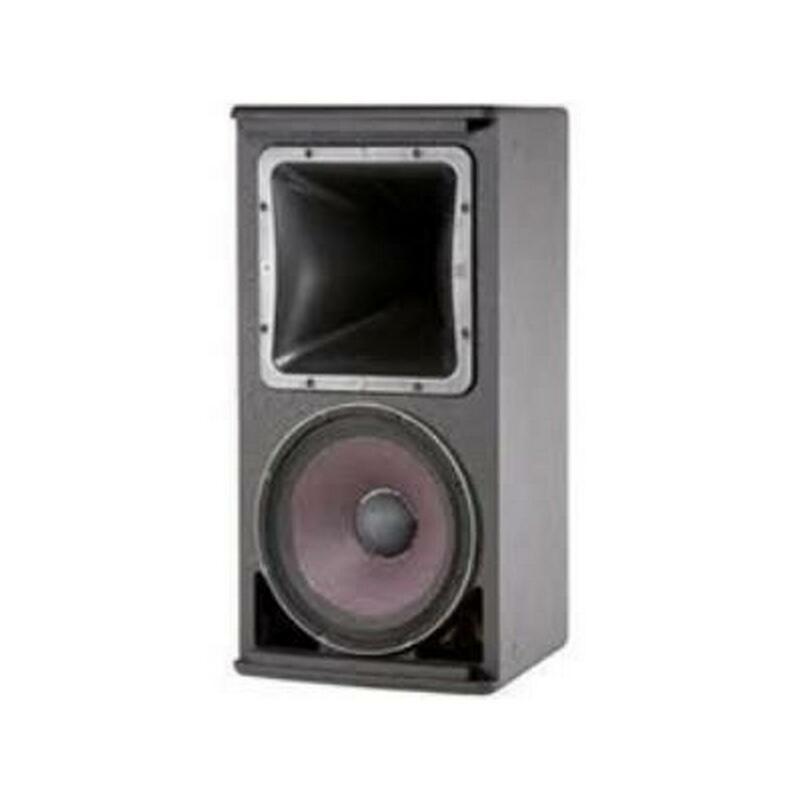 The AM5215/95 is a medium power, lightweight, 2-way, full-range loudspeaker system comprised of the JBL Differential Drive® dual voice coil and dual magnetic gap 265H-1 380 mm (15 in) low frequency driver and 2408H-1 high frequency 38 mm (1.5 in) exit, 38 mm (1.5 in) voice-coil compression driver. The large format PT™ Progressive Transition waveguide provides excellent 90° x 50° coverage. The waveguide is rotatable so the loudspeaker system can be used in either the vertical or horizontal orientation. High-slope passive networks minimize band overlap. Well-controlled off-axis response enhances arrayability. 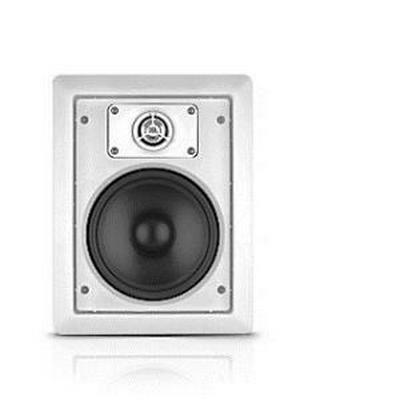 The AM7212/64 is a high power, lightweight, 2-way, full-range loudspeaker system comprised of the JBL Differential Drive dual voice coil and dual magnetic gap 2262H 300 mm (12 in) low frequency driver and 2432H high-frequency 38mm (1.5 in) exit, 75 mm (3 in) voice-coil compression driver. The large format Progressive Transition waveguide provides excellent 60° x 40° coverage. The waveguide is rotatable so the loudspeaker system can be used in either the vertical or horizontal orientation. High-slope passive networks minimize band overlap. Well-controlled off-axis response enhances arrayability. The AW266 is a high power, lightweight, 2-way, full-range loudspeaker system comprised of the JBL Differential Drive dual voice coil and dual magnetic gap 2262H 300 mm (12 in) low-frequency driver and 2432H high-frequency 38 mm (1.5 in) exit, 75 mm (3 in) voice-coil compression driver. The large format Progressive Transition wave-guide provides excellent 60° x 60° coverage. 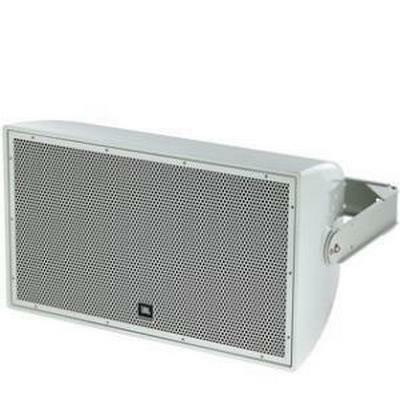 The loudspeaker system can used in either the vertical or horizontal orientation. The enclosure is constructed of multilayer glass composite and is heavily braced to maximize lowfrequency performance. The 14-gauge stainless steel grille, backed with open cell foam and stainless steel mesh, provides excellent protection in the harshest environments. The system is equipped with a 400 W 70/100V transformer. A heavy-duty stainless steel U-type mounting bracket is included and allows for easy installation on flat surfaces or in 90° corners. 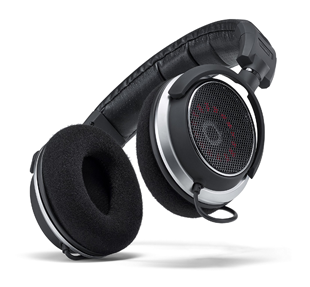 The AW266 is part of JBL’s AE Series, a versatile family of loudspeakers intended for a wide variety of applications. 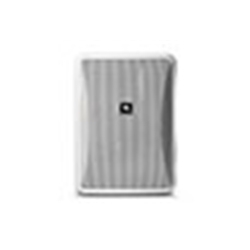 The AW295 is a high power, lightweight, 2-way, full-range loudspeaker system comprised of the JBL Differential Drive dual voice coil and dual magnetic gap 2262H 300 mm (12 in) low-frequency driver and 2432H high-frequency 38 mm (1.5 in) exit, 75 mm (3 in) voice-coil compression driver. The large format Progressive Transition wave-guide provides excellent 90° x 50° coverage. The waveguide is rotatable so the loudspeaker system can used in either the vertical or horizontal orientation. The enclosure is constructed of multilayer glass composite and is heavily braced to maximize lowfrequency performance. The 14-gauge stainless steel grille, backed with open cell foam and stainless steel mesh, provides excellent protection in the harshest environments. The system is equipped with a 400 W 70/100V transformer. A heavy-duty stainless steel U-type mounting bracket is included and allows for easy installation on flat surfaces or in 90° corners. 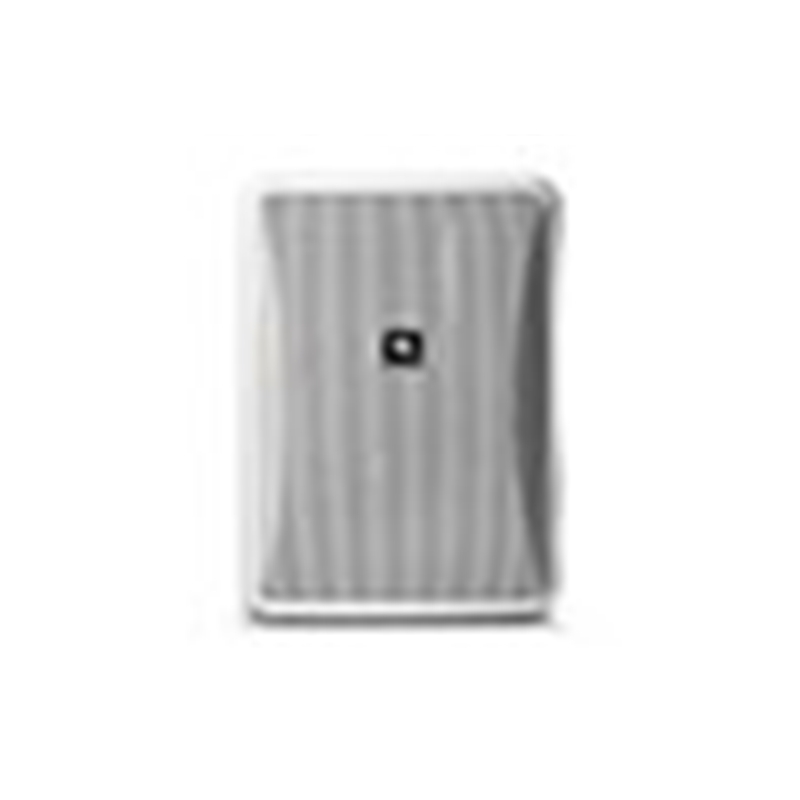 The AW295 is part of JBL’s AE Series, a versatile family of loudspeakers intended for a wide variety of applications. The AW526 is a high power, lightweight, 2-way, full-range loudspeaker system comprised of the JBL Differential Drive dual voice coil and dual magnetic gap 2265H-1 380 mm (15 in) low-frequency driver and 2432H high-frequency 38 mm (1.5 in) exit, 75 mm (3 in) voice-coil compression driver. The large format Progressive Transition wave-guide provides excellent 120° x 60° coverage. The waveguide is rotatable so the loudspeaker system can used in either the vertical or horizontal orientation. The system is equipped with a 400 W 70/100V transformer. A heavy-duty stainless steel U-type mounting bracket is included and allows for easy installation on flat surfaces or in 90° corners. The enclosure is constructed of multilayer glass composite and is heavily braced to maximize lowfrequency performance. The 14-gauge stainless steel grille, backed with open cell foam and stainless steel mesh, provides excellent protection in the harshest environments. 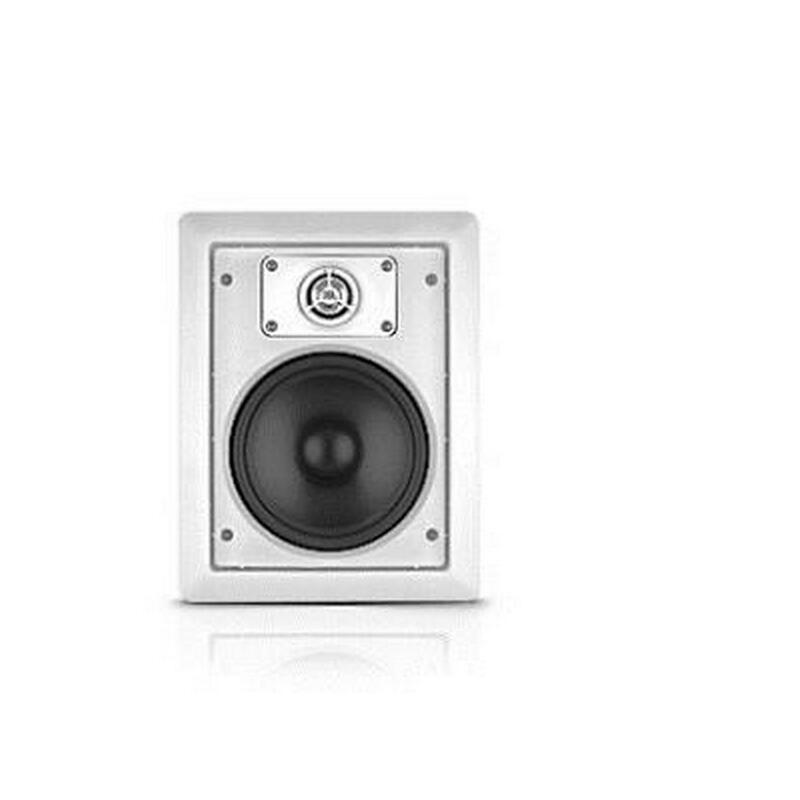 The AW526 is part of JBL’s AE Series, a versatile family of loudspeakers intended for a wide variety of applications. 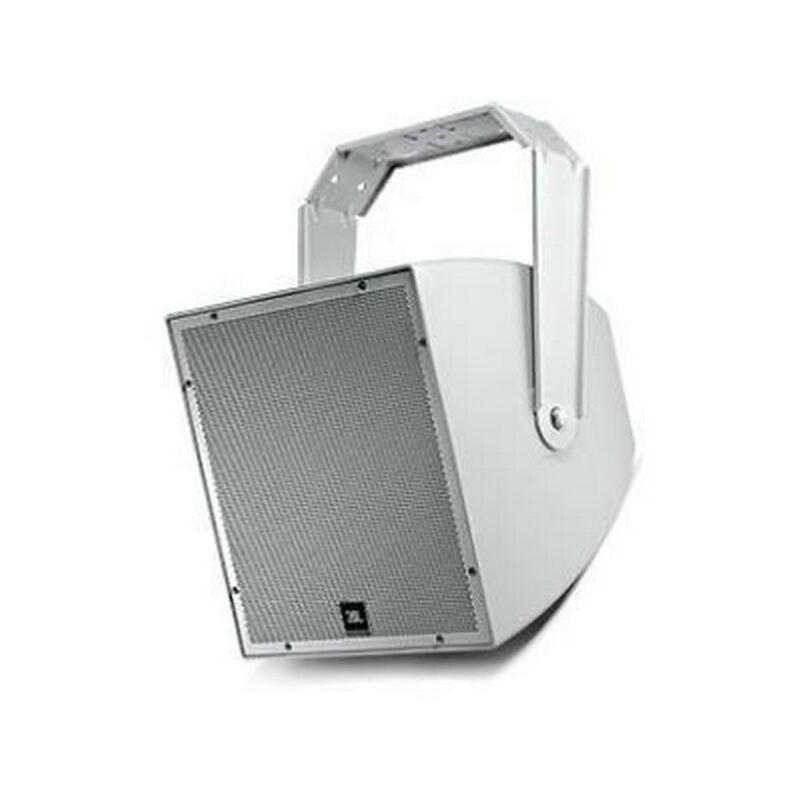 The AW566 is a high power, lightweight, 2-way, full-range loudspeaker system comprised of the JBL Differential Drive dual voice coil and dual magnetic gap 2265H-1 380 mm (15 in) low-frequency driver and 2432H high-frequency 38 mm (1.5 in) exit, 75 mm (3 in) voice-coil compression driver. The large format Progressive Transition wave-guide provides excellent 60° x 60° coverage. 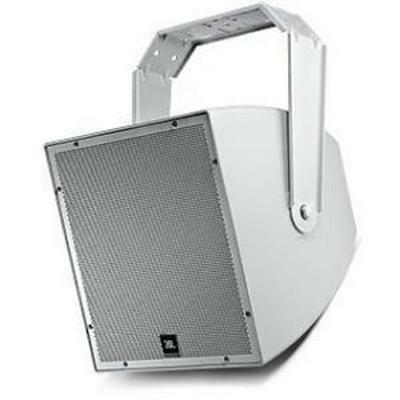 The loudspeaker system can used in either the vertical or horizontal orientation. The enclosure is constructed of multilayer glass composite and is heavily braced to maximize lowfrequency performance. The 14-gauge stainless steel grille, backed with open cell foam and stainless steel mesh, provides excellent protection in the harshest environments. The system is equipped with a 400 W 70/100V transformer. A heavy-duty stainless steel U-type mounting bracket is included and allows for easy installation on flat surfaces or in 90° corners. 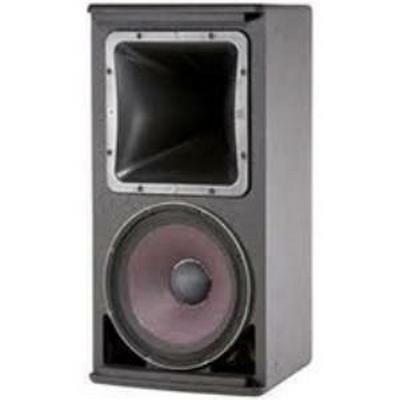 The AW566 is part of JBL’s AE Series, a versatile family of loudspeakers intended for a wide variety of applications. 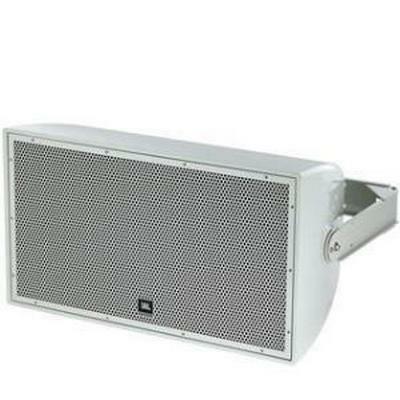 The AWC82 is a compact, coaxial-driver, 2-way, highly weather-resistant full-range loudspeaker system which is ideal for speech and music-fill in a wide variety of applications, including sports facilities, racetracks, stadiums, fairgrounds, rodeos, skating rinks, themed entertainment venues, cruise ships, water parks, outdoor background music/paging systems, swimming pools, and a wide variety of other outdoor or indoor venue types. High-Pass 60 Hz high-pass (24 dB/oct) (for 8Ω operation and for all 70V/100V taps settings). Low Frequency Driver 135 mm (5.25 in), woven-fiberglass cone with pure butyl rubber surround with Weather-Edge frame protection, high-temp fiberglass voice coil former, high-temp voice coil wire, optimized cone geometry, linear suspension spider, and FEA optimized motor structure. High Frequency Driver 19 mm (0.75 in) PEI diaphragm, low-viscosity ferro-magnetic fluid, and lightweight Kapton™ voice coil former. Grille Highly zinc-plated, finished in durable TGIC polyester powdercoating. MTC-25WMG-1 (&-WH) available with WeatherMax™ multi-layer foam and tight-weave mesh vapor barrier backing. Installation InvisiBall wall-mounting system included. Two 6 mm attachment points (on top and bottom) for optional MTC-25UB-1 (&-WH) U-bracket. Secondary safety attachment loop point on back panel. Environmental IP-44 per IEC529 (IP-55 when installed with the optional MTC-25WMG-1 WeatherMax™ grille and either MTC-PC2 or MTC-PC3 panel cover.) Exceeds MilSpec 810 for humidity, salt-spray, temperature & UV. Passes MilStd-202F for salt spray and ASTM G85 for acid-air plus salt spray. Optional MTC-25WMG-1 WeatherMax™ grille for breaking up driving rain and for especially difficult environments. Dimensions (H x W x D) 243 x 188 x 145 mm (9.6 x 7.4 x 5.7 in); 203 mm (8.0 in) deep total when mounted on InvisiBall wall-mount bracket.